Big Rigs contributor David Vile is in one of the Wodonga West fire trucks. FIREFIGHTERS are doing everything in their power to stop the raging bushfire in a Victorian state park. 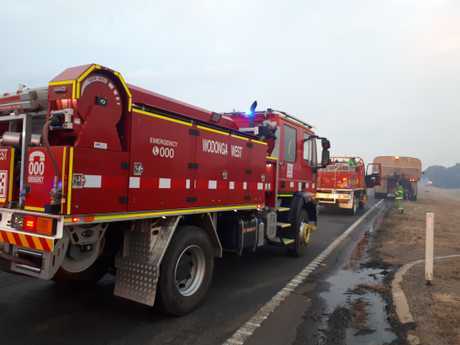 Big Rigs contributor David Vile is currently in the thick of it, travelling along with the Country Fire Authority's Wodonga West Fire Brigade. The Bunyip State Park fire, burning 65km east of Melbourne, was sparked by lightning strikes on Friday and has destroyed more than 10,000 hectares. Bunyip State Park bush fires: David Vile is with the Wodonga West fire brigade. More than 2000 firefighters are working to contain blazes around the state, with the Country Fire Authority assistant chief officer Trevor Owen telling news.com.au "The Bunyip fire is worse than the one that burned in the same spot on Black Saturday". Fire trucks on the front line. 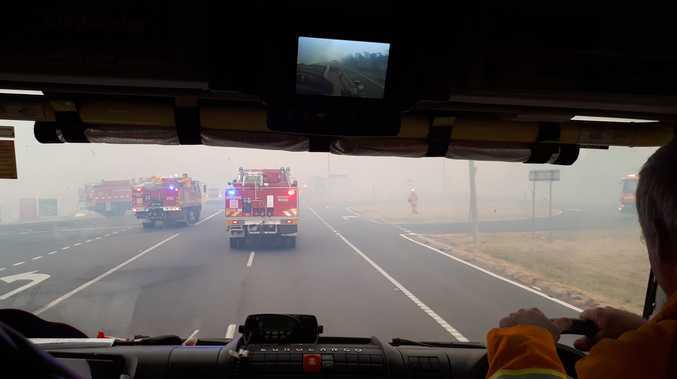 David, who is travelling in one of the Wodonga West CFA fire trucks, said it was "hard and hot and heavy work in these conditions as heavy smoke, hot temperatures and strong winds are fanning the flames as we drive across the freeway". 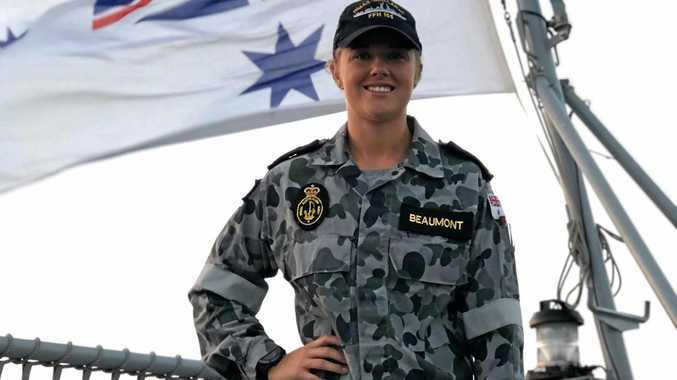 He said it was a "continual battle" to stop the fire spreading and "work here will probably not be done for a few more days even once the fire is contained". "There's been considerable damage and there is a number of jobs still to be done to get this fire safe". News.com.au is reporting the entire township of Tonimbuk, which borders Bunyip State Park, has been all but "wiped out" in the devastating fire. The Princes Freeway remains closed around the Bunyip bushfire. Currently, the freeway is closed between Koo Wee Rup Road, Pakenham and Princes Way, Drouin. VicRoads has advised that drivers should defer all non-essential travel in the area, and plan ahead for today's afternoon peak. Those who must travel from Gippsland can detour through Drouin, using Westernport Road to Lang Lang, then the South Gippsland Highway towards Melbourne. Morwell: heavy vehicles should use the Strzelecki Highway to Leongatha, then the South Gippsland Highway towards Melbourne. Warragul: use Warragul-Korumburra Road to Korumburra, then take the South Gippsland Highway. This route is not suitable for B-doubles. Traffic heading away from Melbourne can use the same routes, with the addition of Koo Wee Rup-Longwarry Road to access towns such as Bayles and Modella. The detours around the closure are significant, so drivers need to allow more time for their journey. While on the road, motorists should stay vigilant for emergency services vehicles. If smoke is limiting visibility, slow down and use headlights. Current road closures are available at traffic.vicroads.vic.gov.au.